Mdukatshani, established in 1975 is a non-profit, Non Governmental Orginisation(NGO) based in Weenen/Msinga area of KwaZulu Natal, a province of South Africa. 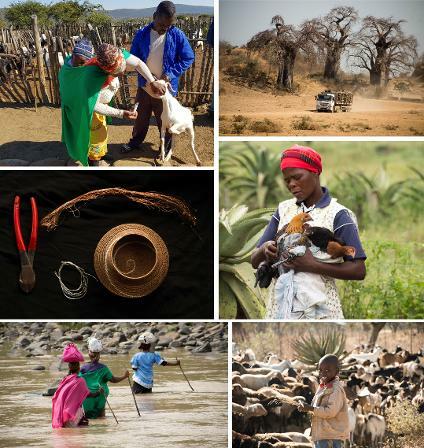 Increasing women and youth involvement in livestock and value-adding activities. Prioritizing women-owned livestock and income-generating activities in order to create wealth for the poorest. Supporting local youth in enhancing value chains leading to commercialisation of local herds. Promoting personal and homestead health and knowledge transfer in Grade 5 and 6 school children through school clubs. A craft project using beads, metal wires and local grass to create jewelry and art worksfor the local and international market. This projects seeks to increase productivity in small African goat herds. This productivity increase will be supported by youth micro-businesses which will support farmers in basic animal health care as well as feed production and sales. A Chicken Vaccination and Productivity program that supports learning and production improvement among household chicken farmers in over 3000 homes in the Msinga area. This improves food security in these homes and supplements incomes through local sales of these chickens. 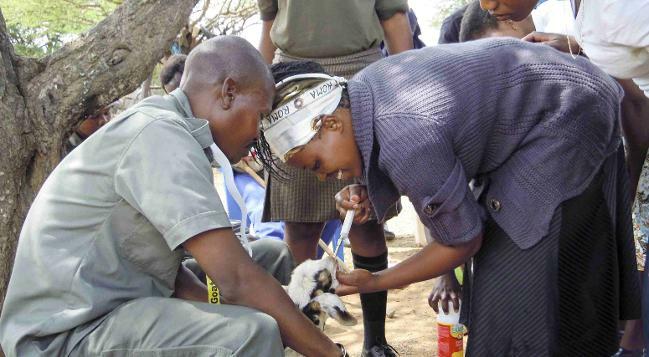 Community Animal Health Workers (CAHW) are young people who will support farmers in health and production support of their livestock. This creates work opportunities for young people in agriculture and help women headed household owners of stock improve their productivity. Click here to see our annual report and news updates. A variety of training materials are available to support farmers or peer to peer organisations. Mdukatshani supports farmers in all homestead animals but concentrates on Goats/Sheep, Chickens and Cattle. Thanks to our funders, sponsors, supporters and peer organisations.